Science-fiction author M.K. Williams talks about her journey toward financial independence, the decisions she’s made along the way, and self-publishing her first three novels. How did Mary Kate and her husband get started on their path to financial independence? What adjustments did they make while sticking close to the Early Retirement Extreme plan, and why did they choose to make those decisions? How did MK’s house hack work? What did MK and her husband do with their income after they had paid off their mortgage and student account? Where did MK and Jason keep their savings? What suggestions does MK have for listeners? Don’t let assumptions of your community hold you back. How much did MK save by not having a car, and walking to work? What choices did MK make to save money during college and keep her student debt low? High school students: Spend more time writing scholarship essays. What gift did MK’s parents give her, in regards to student loans, that helped her pay off her loans quicker? How did Jason’s college experience differ? What is MK’s side hustle and how did she get started? Why did MK decide to self-publish? What advantages does a traditional publishing company have? How does someone get access to MK’s book? What does marketing a self-published book involve? Check out MK's article about self-publishing. 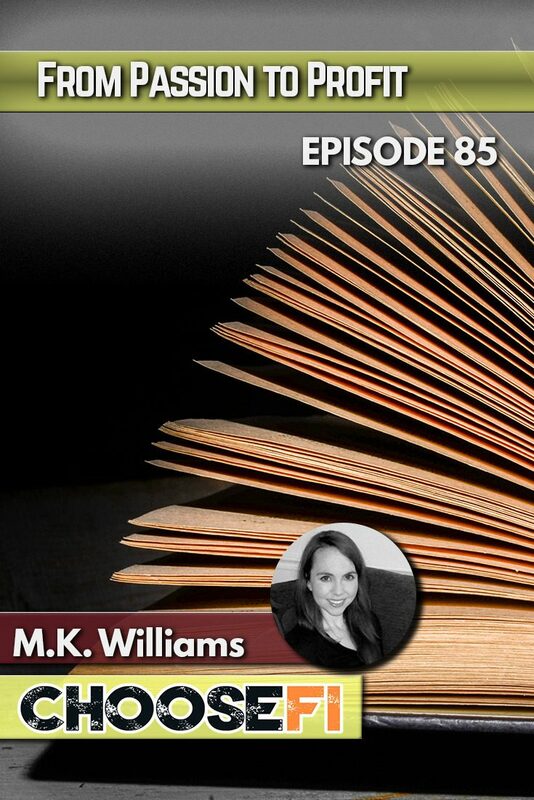 What is MK’s preference: digital, paperback or audiobook? How does MK get reviews? Is writing financially profitable yet, and what is the ultimate goal? How many books would it take to fully fund MK’s lifestyle? What is MK’s perspective on grammar, and how has she worked to improve her writing? A young woman who is articulate and definitely goal oriented. Refreshing to hear her journey. What a nice formula, Goals + Initiative + Focus + Talent + Energy + Drive = G I F T E D . Nice session! Thanks JW. I may borrow that acronym, very clever! MK you are an amazing woman, your husband is a lucky man! Wow, awesome story. I live in Tampa and work in St. Pete as well and I can vouch for what she is saying about the traffic. It is truly horrendous!